Dr. Julia Hansen, a Senior Researcher at the Institute for Therapy and Health Research (IFT-Nord), Kiel, Germany was a co-researcher on the study. She said: "The World Health Organization recommends a comprehensive ban on tobacco advertising, promotion and sponsorship in its Framework Convention on Tobacco Control. Despite this, in Germany, tobacco and e-cigarettes can still be advertised in shops, on billboards and in cinemas after 6pm. Elsewhere, although tobacco advertising may be banned, the regulations on advertising e-cigarettes are more variable. We wanted to investigate the impact that advertising might be having on young people." 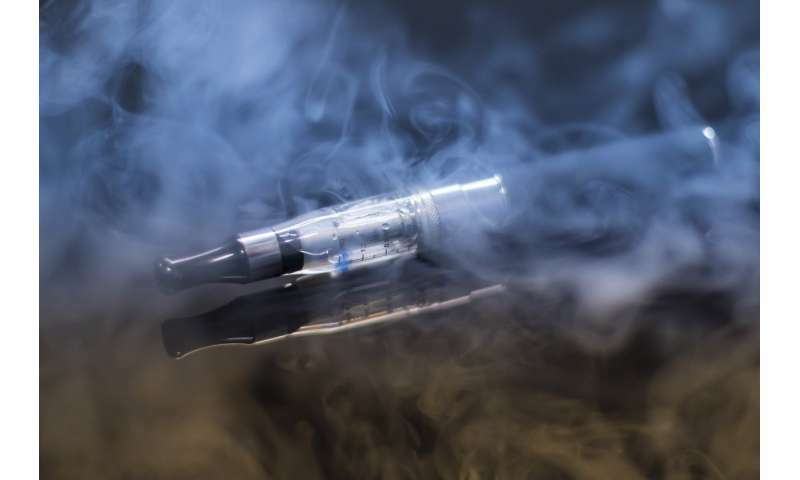 Dr. Hansen said: "In this large study of adolescents we clearly see a pattern: those who say they have seen e-cigarette adverts are more likely to say they have used e-cigarettes and conventional cigarettes. Dr. Hansen hopes to continue to study this large group of school pupils to see if there are any changes over time. She says this may help clarify the cause and effect between exposure to adverts, using e-cigarettes and smoking.